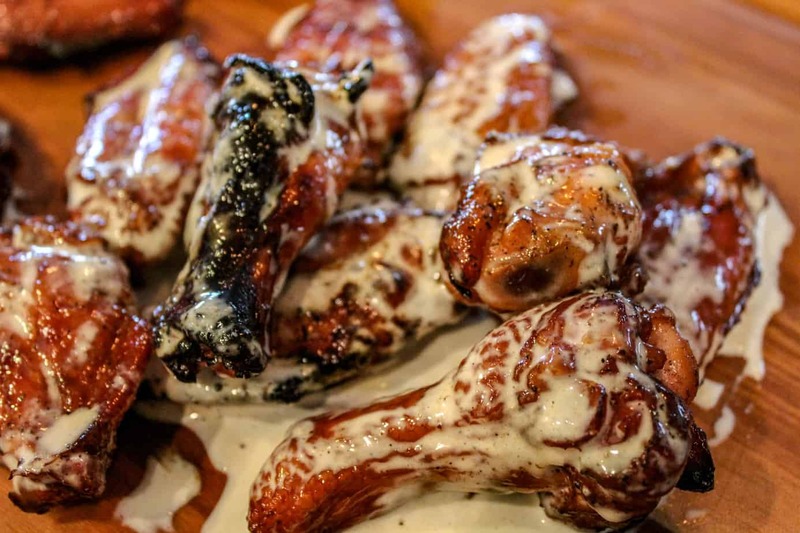 This recipe originally appeared in my Red White and Blue Chicken Wing Recipe. It’s such an easy sauce to make, and there are so many different foods this sauce pairs well with. Some people might call this an Alabama White Sauce. 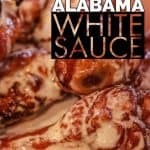 Originally made popular in the South, if you haven’t tried a White BBQ Sauce, you are missing out. The tangy flavor pairs perfectly with chicken and pork. It has a little more bite than your typical coleslaw dressing but pairs GREAT with coleslaw too. It only takes a few minutes to make this sauce and uses common ingredients. 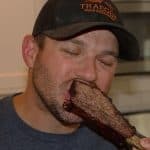 A lot of people shy away from homemade barbecue sauces because they think they’re difficult to make. 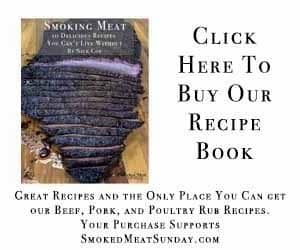 Some of them can be a challenge, but this is one of the easiest to make homemade bbq sauces you will find. Bonus points because it’s super tasty too. When I first talked about making this sauce with my wife, she was skeptical. 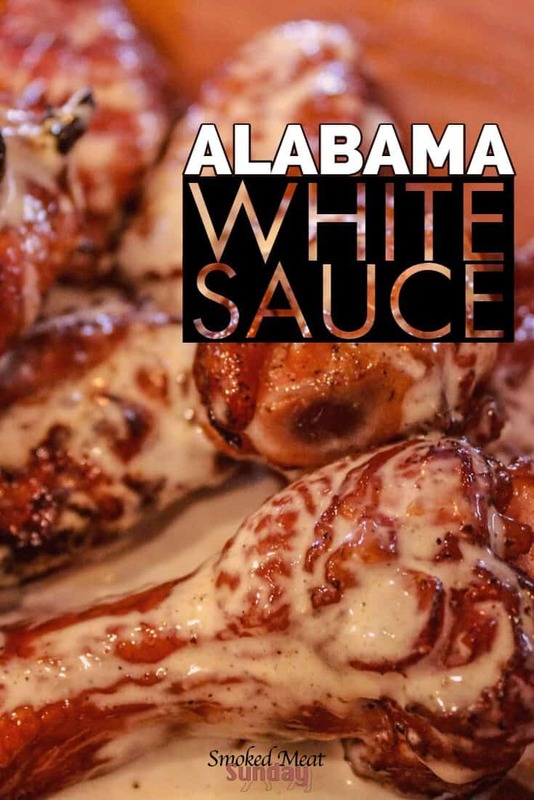 Alabama White Sauce is not like your typical ketchup or molasses-based homemade barbecue sauce. The base for this sauce is mayonnaise. After adding all of the ingredients to your shaker bottle, shake vigorously and then chill overnight. A Tangy White BBQ sauce that's perfect for chicken and pork. It's great on coleslaw too!